COME AND EXPERIENCE THE ISLAND OF GOLF FOR YOURSELF. 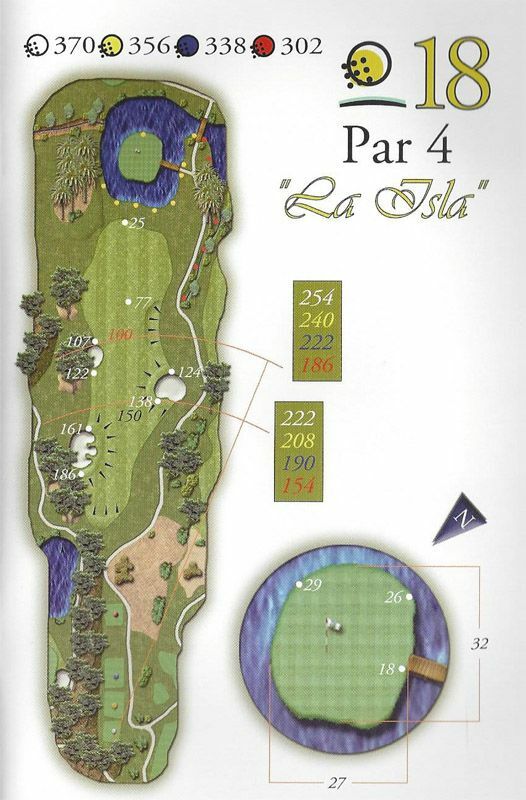 Why not make Lo Romero your personal ¨Island Of Golf¨. 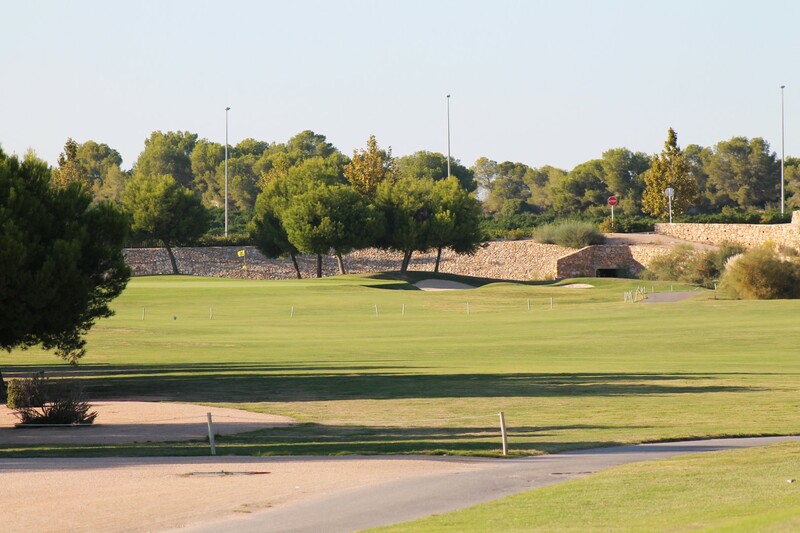 An enjoyable par 72 golf course that runs through a natural landscape and measures just over six kilometres from the yellow tees, a bit less from the red tees. 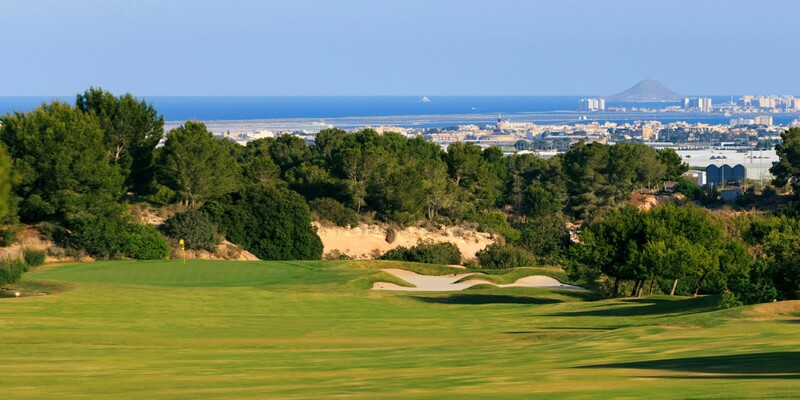 Enjoy the tranquilty of nature mixed with sport where the only sounds you will hear is the rustling sound produced by the Mediterranean pine branches and the sole company of the gnawing squirrels that habitat the trees. 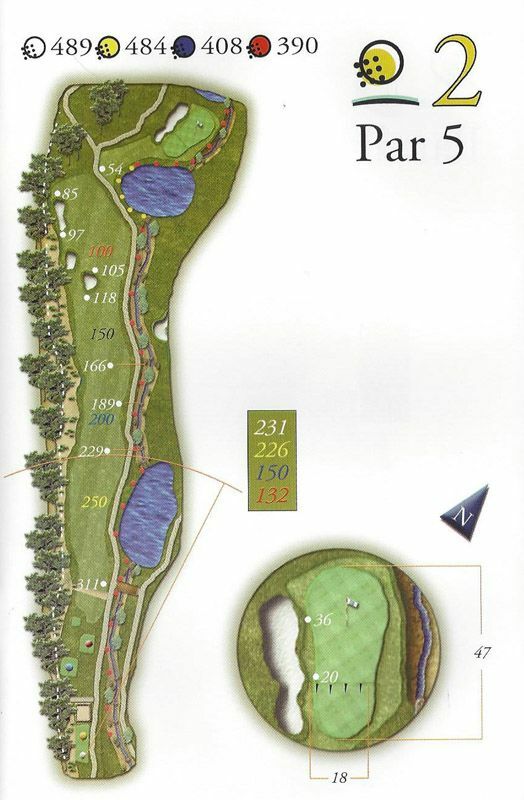 Lo Romero is a par 72, that measure 6,237 metres from the white tees, 6,061 metres from the yellow tees, 5,635 metres from the blue tees and 5,260 metres from the red tees.. Please see below the information for each hole. Lo Romero also offers the possibility to display your round through our LO ROMERO APP. Download it here for free. 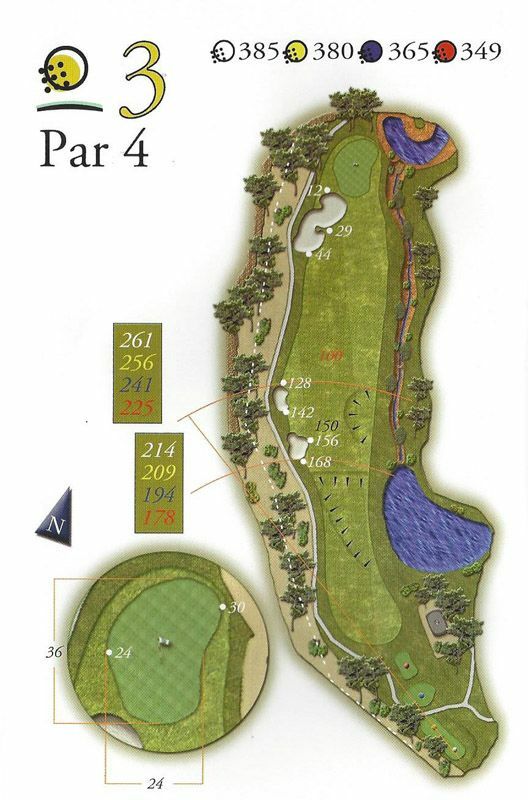 Hole 1 is a short and straight starting hole, that helps the player to gain confidence with the course. 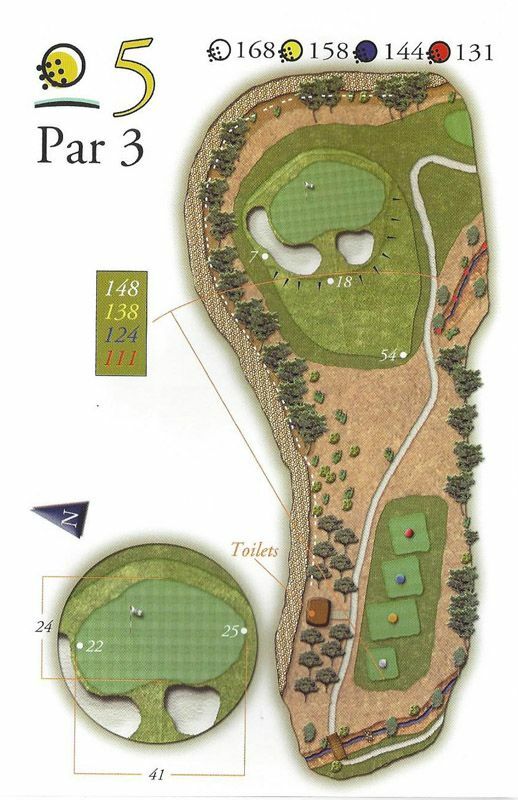 The elevated teeing ground also gives a clear view of the fairway; all the hazards and of the first green. The slightly downhill fairway allows for a long roll of the ball. A great opening hole. 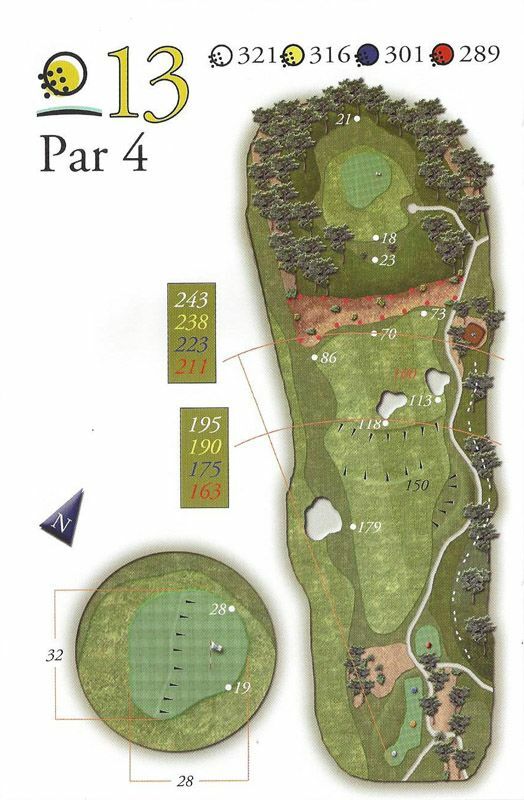 Hole 2 requires a precise and strategic tee shot as the positioning of the ball for the second shot is crucial in order to save par and pass the frontal water hazard that protects a large but long sloping green. A thinking hole. The most difficult aspect of this hole is its distance. Par 4 with a left to right dog-leg, whose teeing ground is protected by pines and a fairway flanked by bunkers and a lateral water hazard. 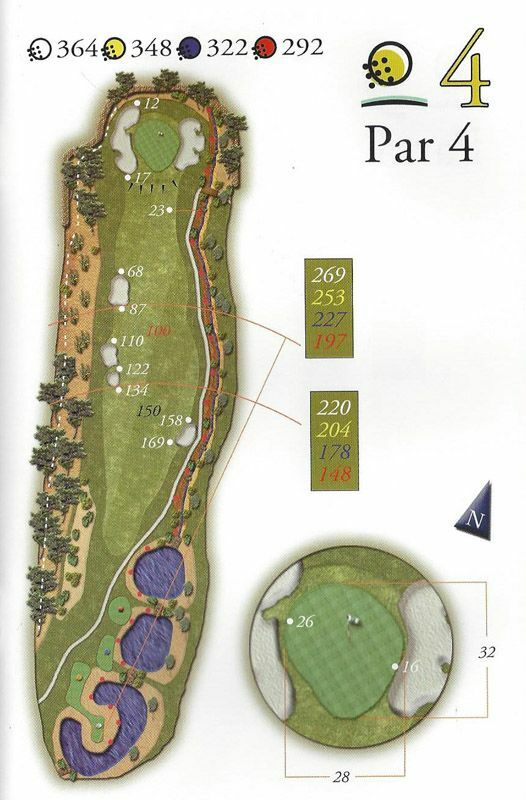 This is considered to be the easiest hole… if there is anything to be considered easy in golf. Long hitters have the chance to make birdie. For the not so long hitter be aware of the fairway bunker on the right. 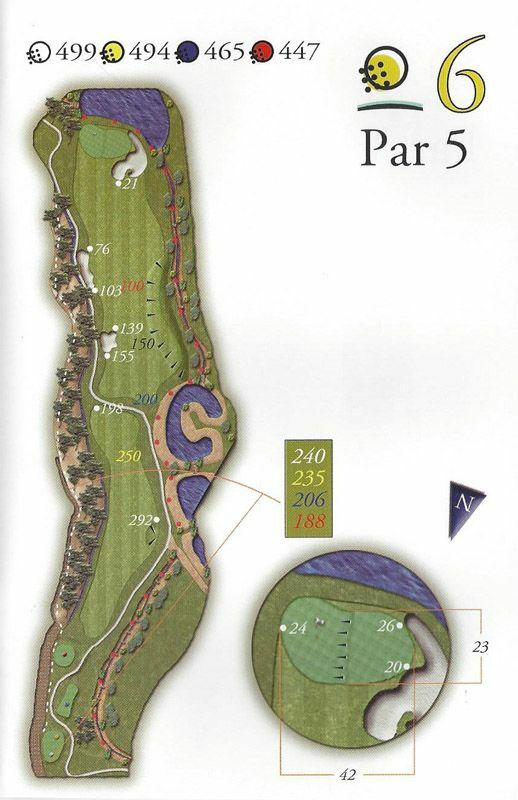 The fairway is quite wide and runs up to slightly elevated green with easy access at the front. Be aware of the wind, it plays a relevant role in this hole. 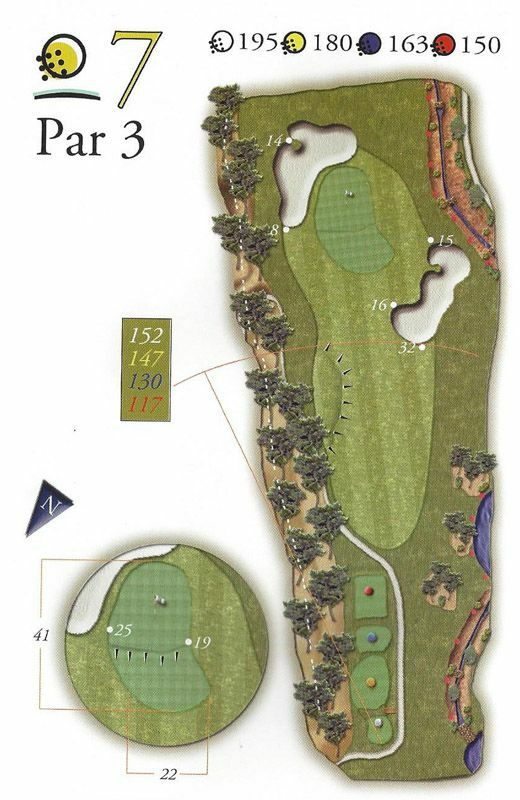 Is the first par 3 you will find in the course. To avoid trouble on the green make careful note of the well defined slopes. 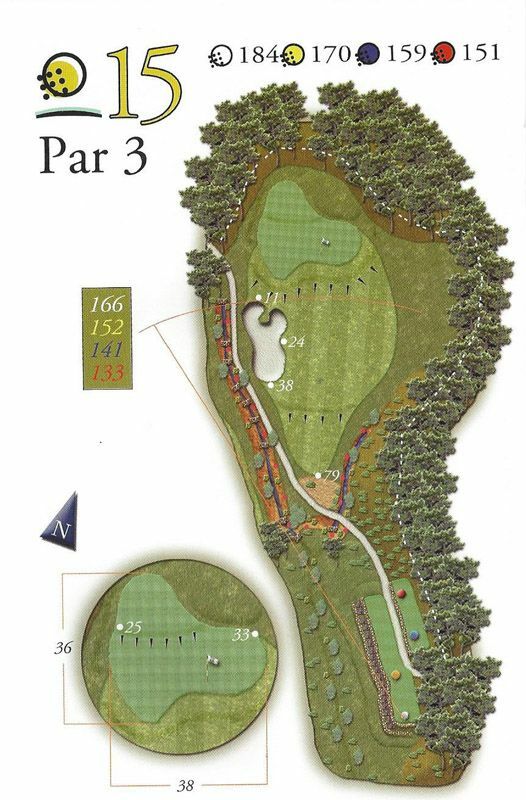 Club selection is vital as a short tee shot will find some difficulty with the two bunkers that protect the green. The most difficult aspect about this hole is the tee shot. The hole has a slight right to left downhill dog-leg. A good drive will leave you in the middle of a wide fairwaywith a relatively trouble free shot to the green. A tee shot to far to the right will find the lateral hazard on the right. A birdie opportunity for the long hitter. 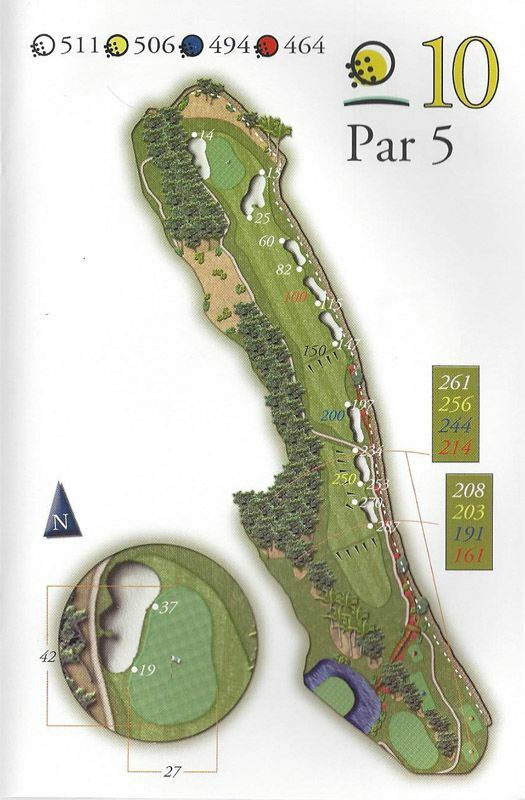 A relatively easy par 3 to get a good result on the course as the green doesn´t have any frontal hazards. 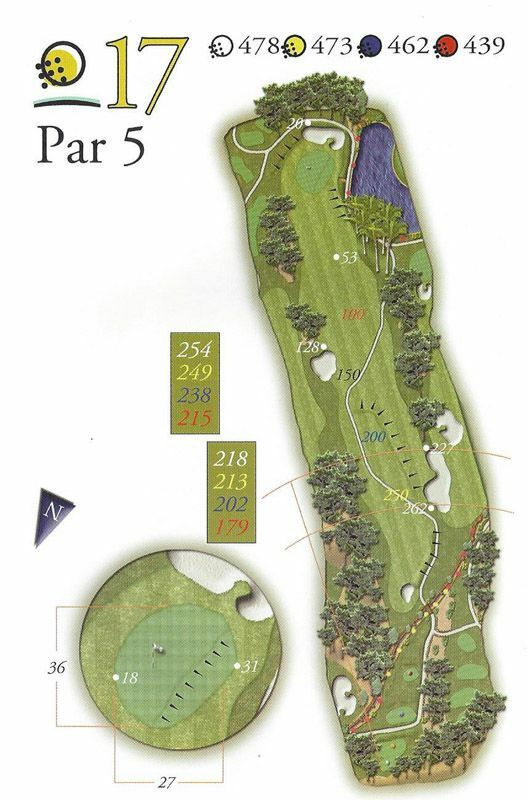 The location of the hole makes a difference and has a bearing on the tee shot because the green has a big slope that can turn the tee shot into a birdie opportunity or a par. Hole of medium difficulty. 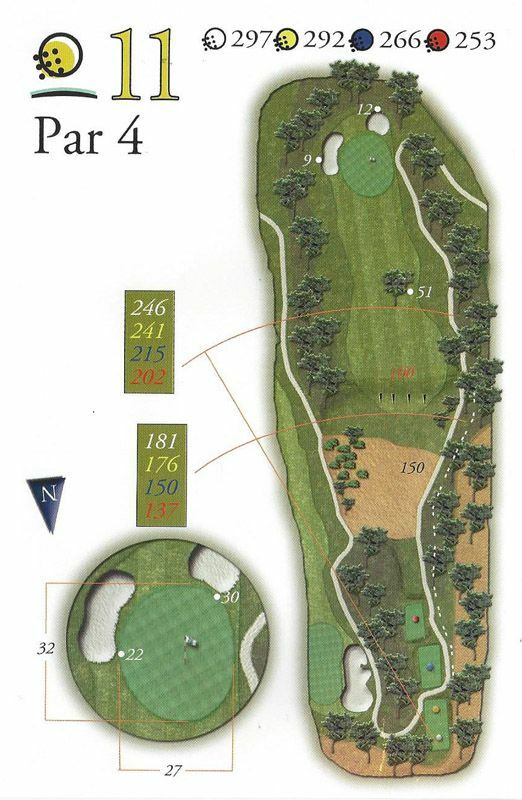 The elevated tees allow the player to see the wide fairway and the green. 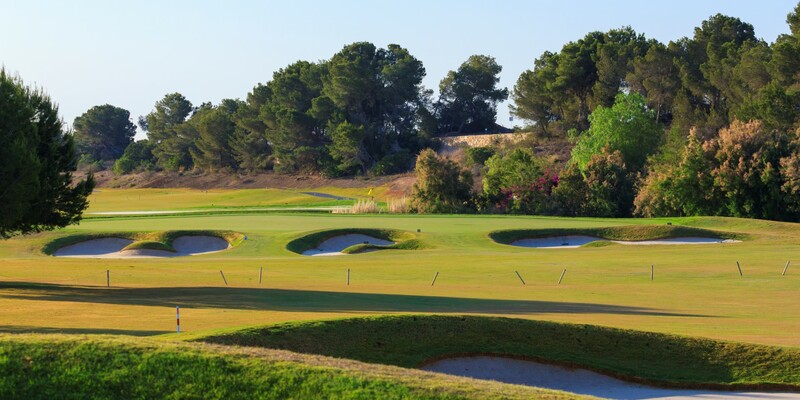 A demanding shot to the green is required to reach the putting surface because it is protected by three frontal bunkers. There is also trouble at the back and to the right of the greeen. Easy hole with a wide and straight fairway, where the player can achieve a good result. A birdie opportunity here for all level of player. 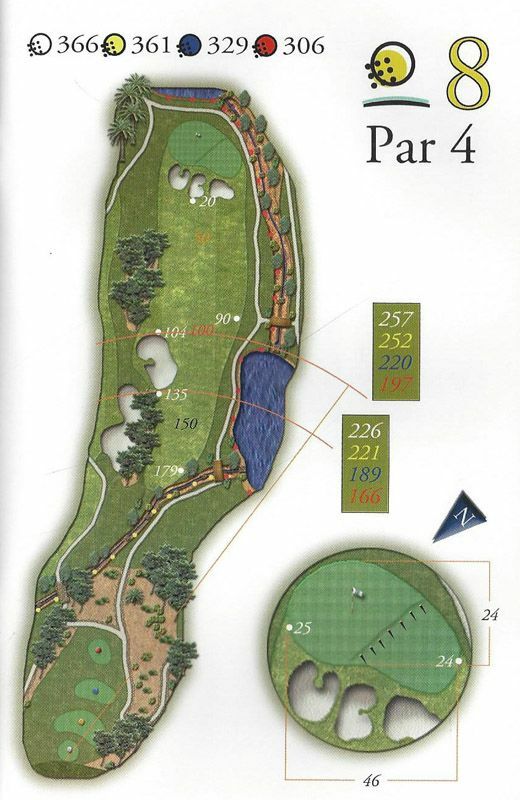 This hole is the longest hole on the course, but has a wide fairway for landing the ball on. Aim your tee shot to the left to avoid problems on the right. The following shots to the wide flat green don’t present too many difficulties. The next shots up to a large flat green are easy since Be aware of the the distance between the bunker and the green which is longer than it appears. A recovery hole. 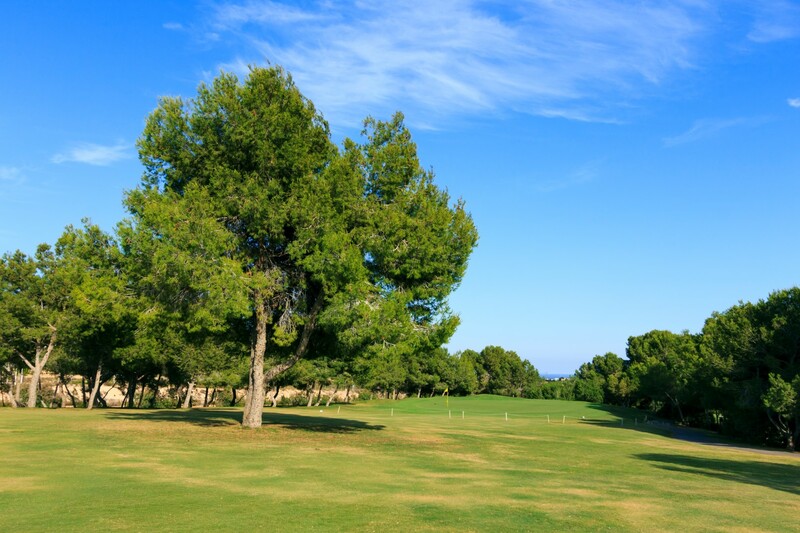 A beautiful pine tree en the center of the fairway can be used as a reference point into guiding your tee shot. Depending on the distance of your Tee shot, the ball will be on the lower part or the upper part of the fairway making the difference of your approach into the green, the ball in the lower part will leave you with a blind shot to the green. 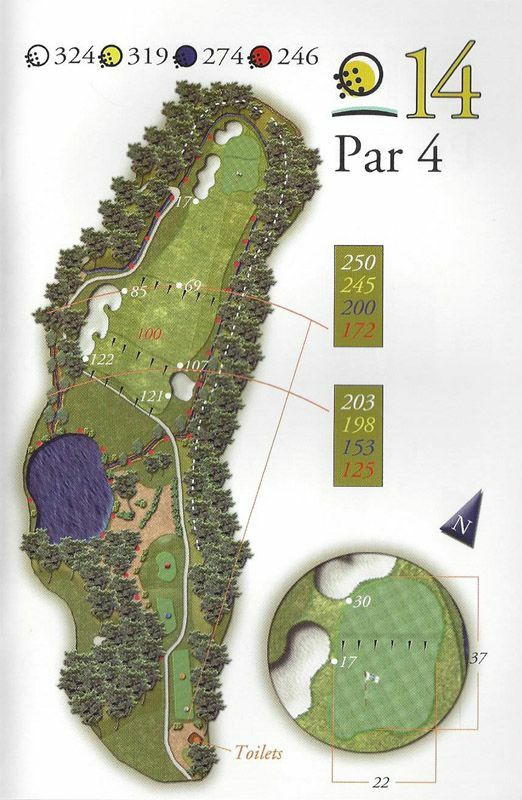 The difficulty in this hole 12 is to calculate the correct distance to pass the lake that that comes into play. A shot left short will find the water and players who find difficulties when there is a head wind would be advised to bale out to the right. Take time to observe the great pine around the perimeter of the hole. A hole that requires a strategy. The long hitters will try to carry the bunkers with their drive wheras the not so long hit will need to lay up before the bunkers. Approach shots to a slightly elevated green surrounded by pines with a small ravine running across the front will need some accuracy. The tee shot from this elevated teeing gorund makes the difference to the outcome of this hole. The long hitters with an accurate drive can set themselves up for a birdie chance. The second shot is relatively straight on an uphill fairway to the green. A chance of par for most, the secret is in the drive. 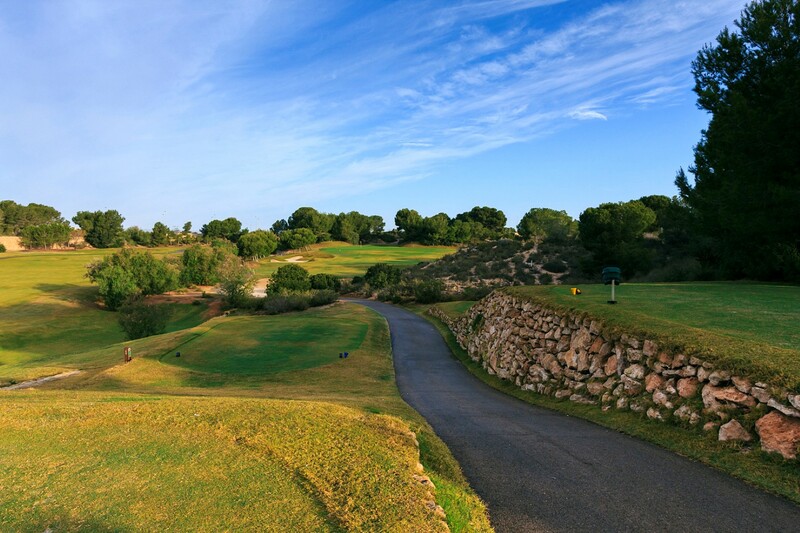 A well laid out hole with a great landscape, this the last of the par 3´s on the course which requires good club selection so as not to leave the ball short. An of target or mis-hit tee shot could finfd you in trouble in front of the tee boxes. 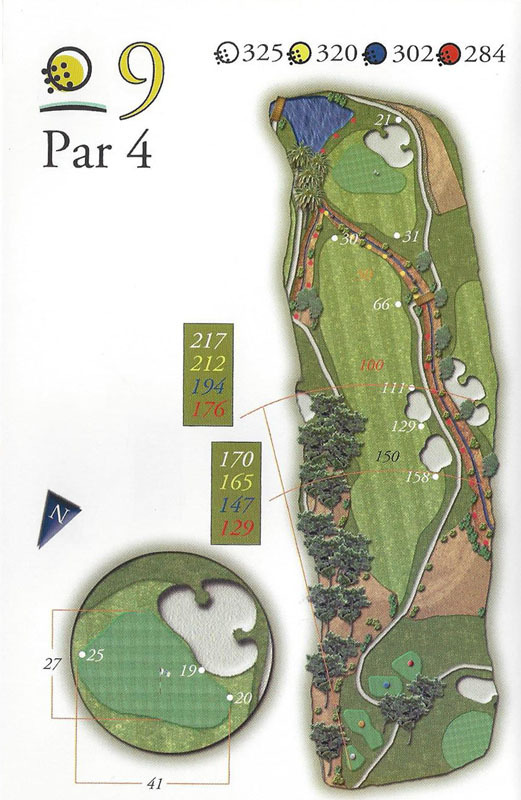 The large green has a numerous amount of slopes and falls to make putting a challenge. 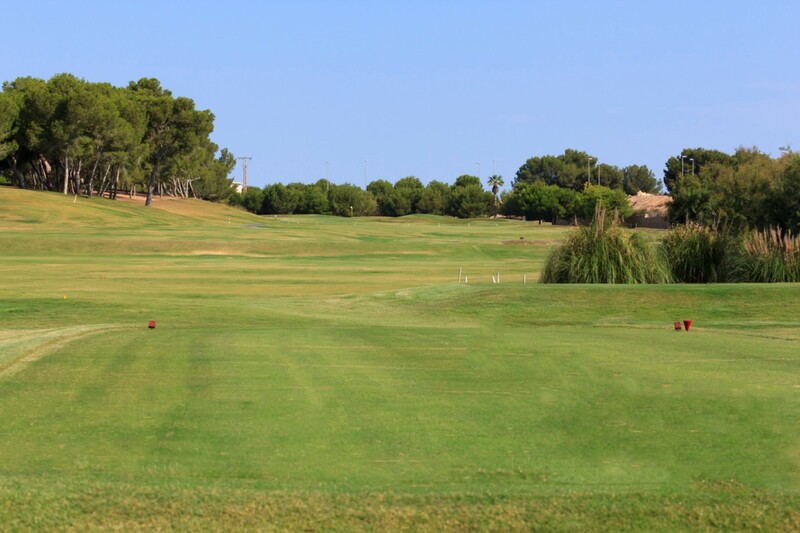 The views from the Tee Boxes on Hole 16 are fantastic and the wide fairway with very little trouble invites you to a stunning hole with the views The Mediterranean Sea and La Manga on the Mar Menor (Murcia). The defence of this downhill par 4 is it´s length. A hole with not too much difficulty and a right to left dog-leg. A well placed tee shot over the middle fairway bunker with the palm trees in the distance serve as a good aiming point, as the middle of the fairway is not visible from the tee. Shots into the two tiered green are relatively straight forward. The longer hitters can look at birdie chances here. Par is a good score on this hole. The most remarkable hole on the course due to its green that is completely surrounded by water. 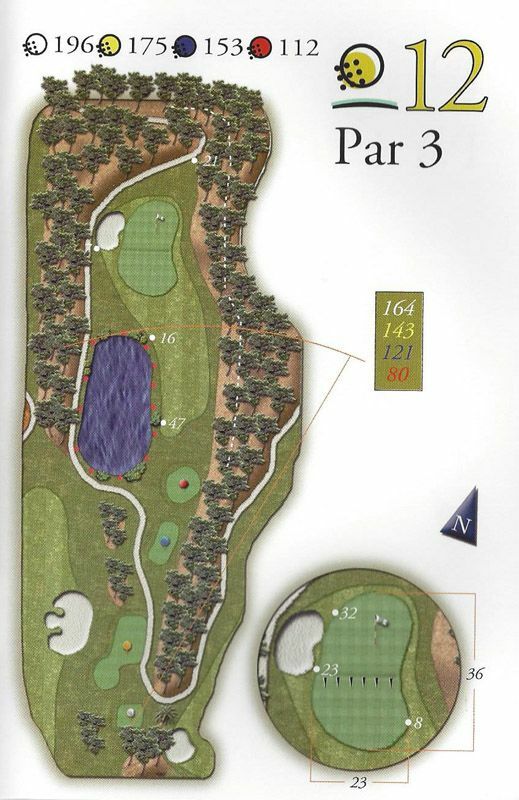 From the teeing grounds, the player can see the the entire layout of the hole, including the bunkers the sides and the water that surrounds the green. The approach shot onto the island green is a great challenge for most players and can make or break a round… we will let you make your own observations and comments…. Would you like to purchase our Course Book? Click here for more information. 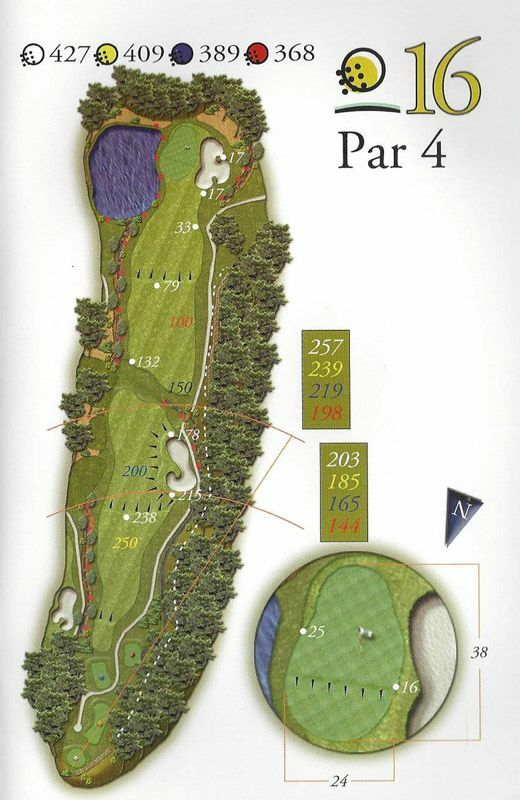 Lo Romero is a par 72 hole golf course made up of :4 par 5´s: 10 par 4´s and 4 par 3´s. From the yellow tees the course measures a distance of 6,061 metres. 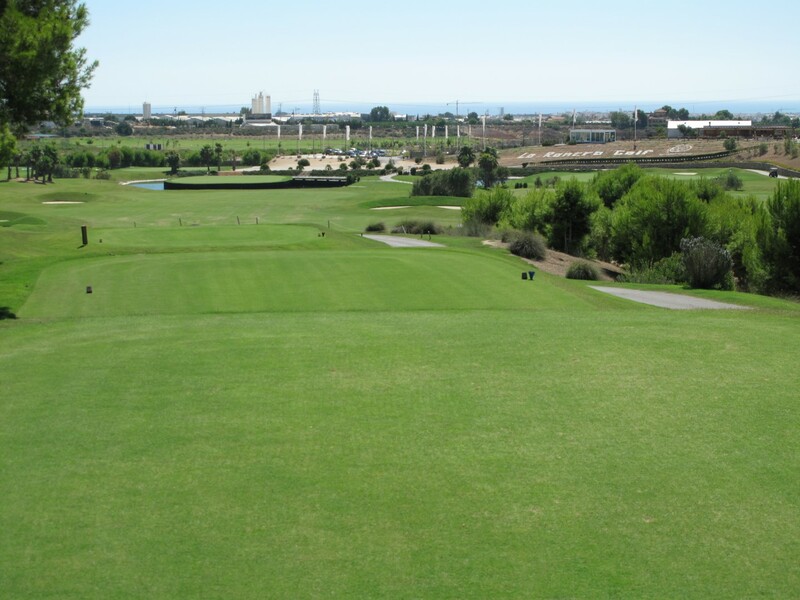 From the red tees the the course measures a distance of of 5,260 metres. 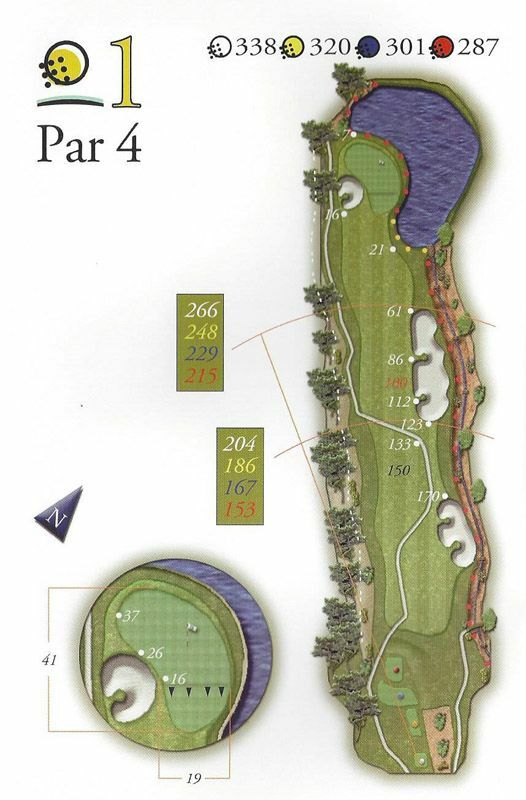 The course opens with hole 1 being a relatively easy straightforward par 4 that sets up the players mind for a round of golf and closes on hole 18, the island green, a challenging par 4, that can make or break the round. 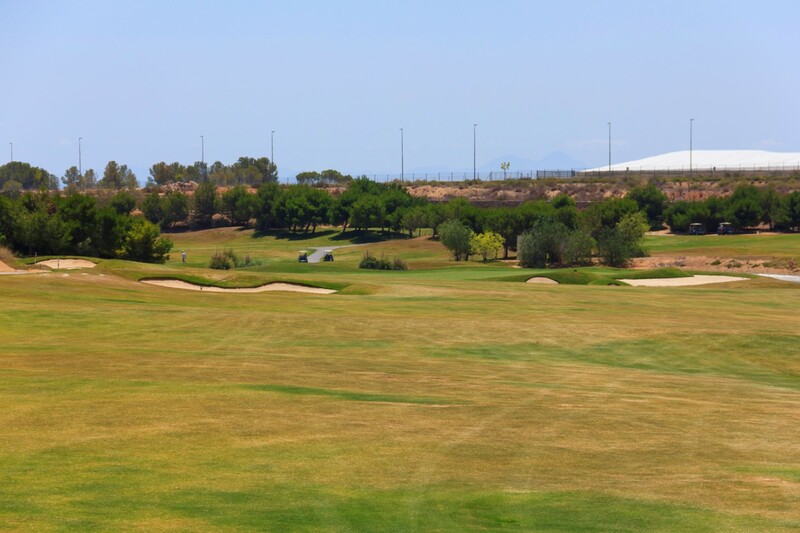 On the golf course you will find water on thirteen holes, as well as 56 bunkers strategically placed. 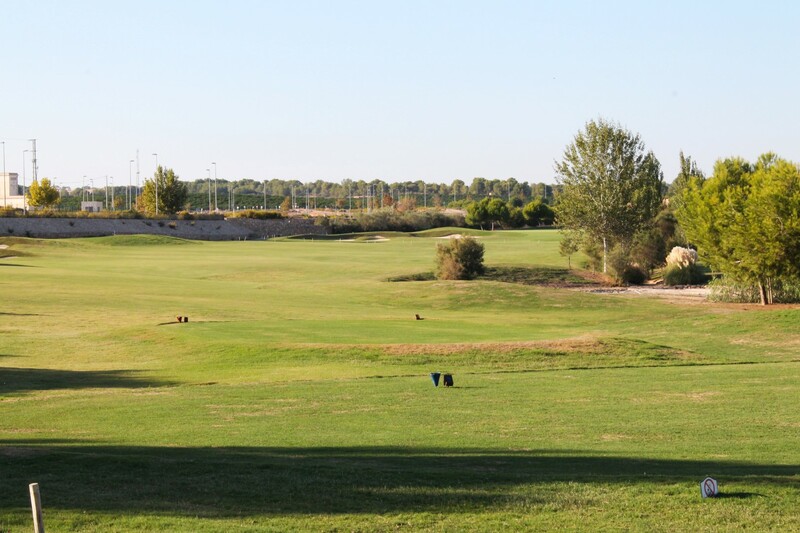 The course´s pleasant orography and the reasonable distances from green to tee make it possible for the player to play by walking and makes for for a pleasant outing. The 10th Hole is the longest hole on the course (506 metres/yellow stakes) and the 5th Hole is shortest (168 metres/yellow stakes). The slope represents the difficulty of the course, and represents an average of a players ability. The higher the Slope Rate a course has the more difficult the course will be for the average golfer. The slope is obtained by a study done by the Royal Spanish Federation of Golf (RFEG) of the exact distances on Spanish Courses, whereby the measures of each factor of the course (fairways, greens…etc) including the hazards are taken into account to determine how these would affect play, including external factors such as prevailing winds and the altitude of the course; these are desisive factors required to obtain two ratings: THE COURSE RATING, the rating that evaluates the difficulty of the course for a Scratch Golfers in normal play and meteorological conditions, and THE SLOPE RATING, that rating that evaluates the potential result of a golfer with a handicap making bogey in relation to the Scratch player on the course. 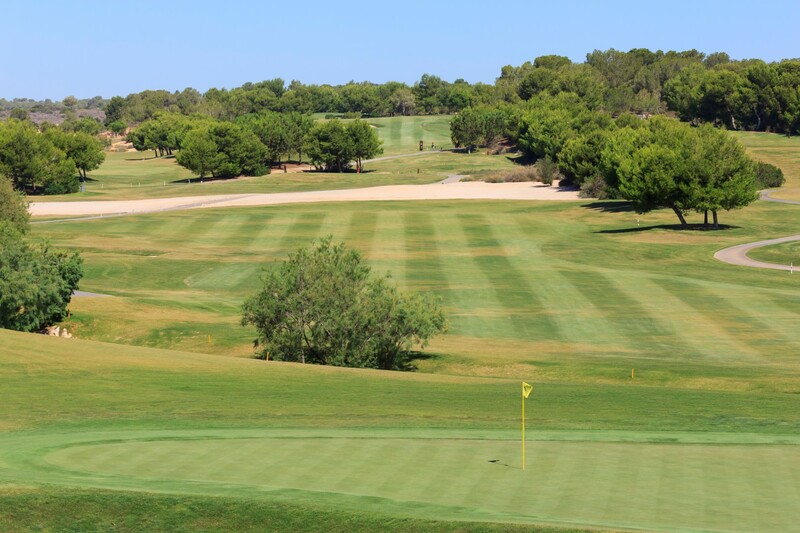 With these two ratings, the Royal Spanish Golf Federation is able to determine and apply the parameters on each course to calculate the exact handicap for each golfer. Three large platforms on natural grass which can accommodate upto 30 golfers simultaneously. Covered Bays hitting balls off mats for long game practice. Practice bunker area around a quality maintained green. Practice Chipping green area for the short game. There is an ablution faciity as well a drinks vending machine. Access to the driving range is absolutley free. The practise facility can be accessed either by foot or buggy. 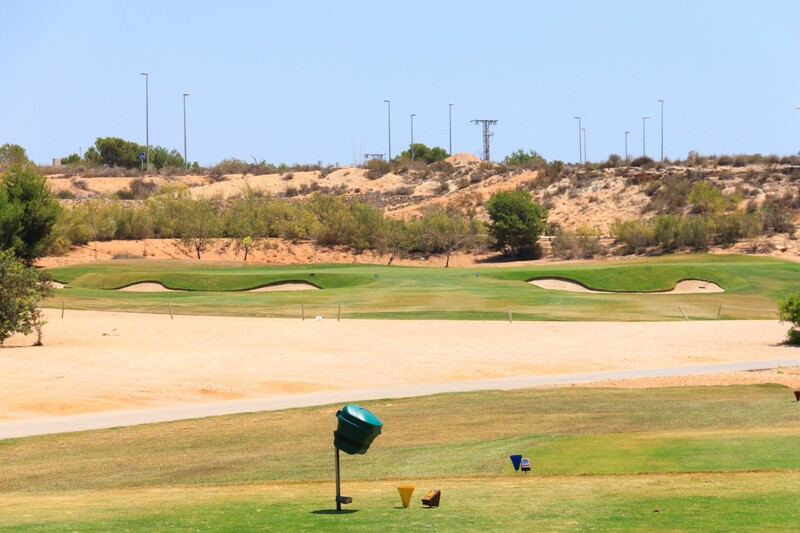 You can get information regarding lessons at the the Practice Range as well as in the Pro Shop for classes from beginners to advanced golfers, either individually or collectively, a single one off class or classes covering various session. Consult with the Lo Romero personal and we will adjust to your needs. 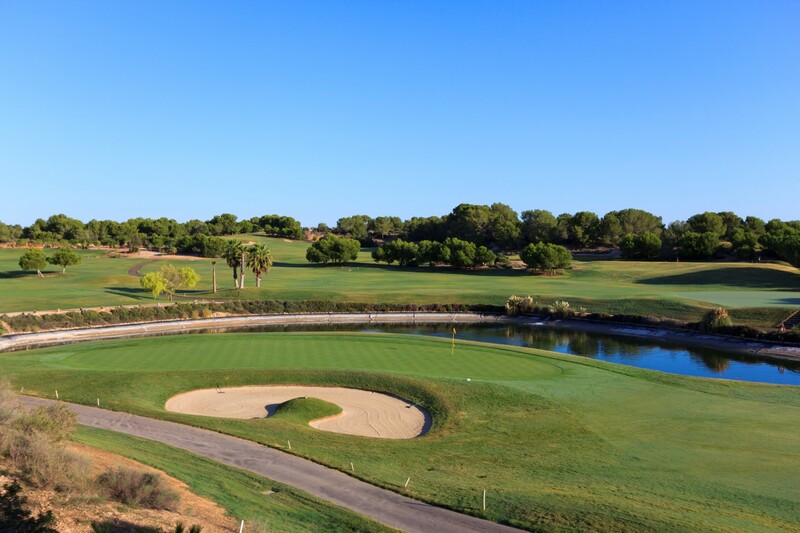 Please don´t hesitate to contact us for any further information you require either by phone +34 966 766 887 or by email info@loromerogolf.com. Lo Romero offers you a practical pro shop where you can purchase clubs, bags and any other necessary accessories you may need to play such as: tees, ball markers, balls, bags, shoes cleats…as well as caps, shoes, golf shirts etc. including all types of clothing for both men and women. Golf shirts with the personalised Lo Romero Golf Logo made by Callaway are also available in the Pro Shop. In the Shop you will find the Caddy Master where you can purchase green fees, hire: buggies, manual or electric trollies and including various types of golf club sets, if you should need them. You can also get information about promotions and social tournaments, as well as information on how the practice facility and the academy funcion, including some of the other services that we offer. The whole team at Lo Romero are at your disposition to help. Lo Romero has a cafeteria named “la Taperia” with a strategically placed terrace with views of the 18th hole. 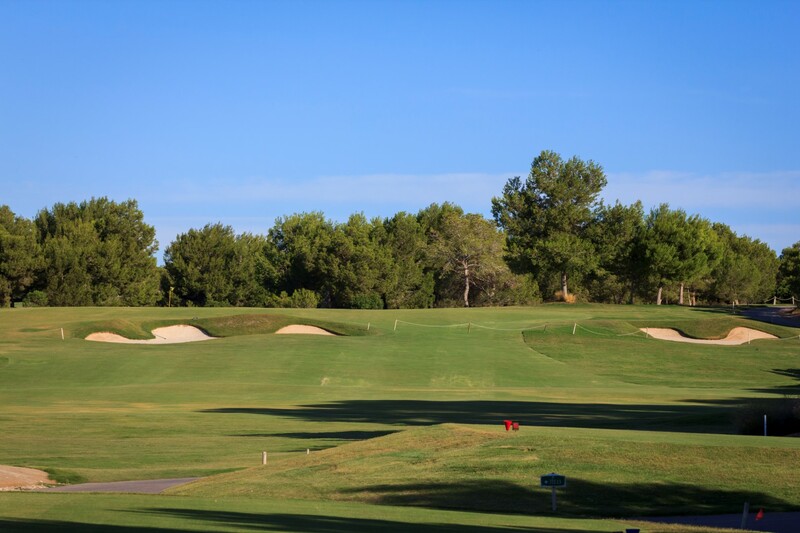 From here, you can follow the finishing of the last of the golfers on the last hole or just enjoy the picturesque landscape filled with grand pines. Sandwiches, hamburgers, combos, different salads, tapas and local products are the most demanded on our menu, along with all type of drinks and soft drinks. Try the famous house special tortilla de patata (Spanish omelet) or the cured Serrano ham with cheese complemented by a glass of Spanish wine. For your convenience Lo Romero offers you the possibility to contact La Taperia by phone or the Buggy-bar through the LO ROMERO APP. Download it now for free (available on any page on our website). 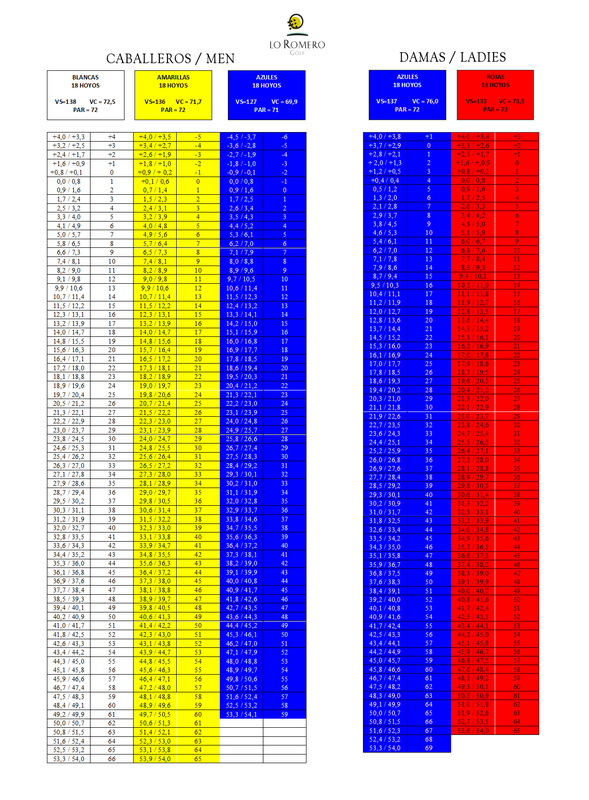 …Lo Romero has an average green speed of 9.5 on the stimpmeter. 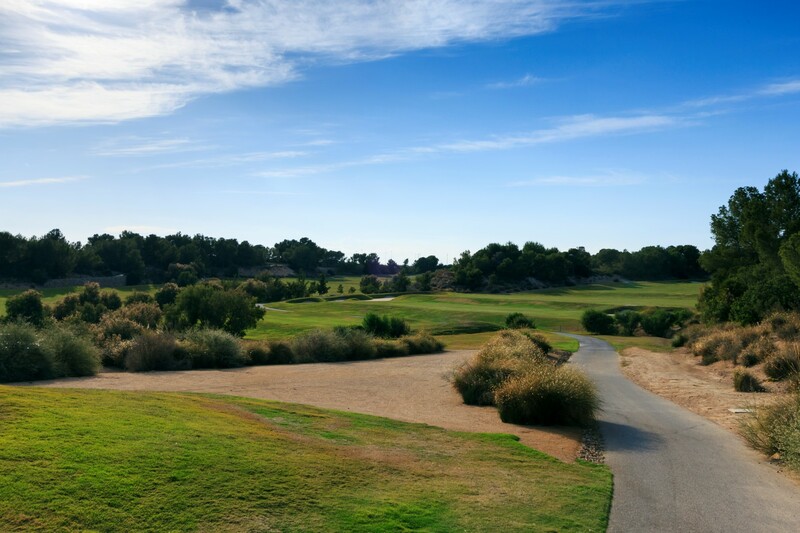 …Lo Romero has a dress code that it requires Golfers to adhere to: Flip-flops, swimsuits, jeans and sport shirts are not allowed, this applies to the practice facility too, and it is prohibited to be shirtless at any point whilst on the property. …Lo Romero applies the etiquette rules established by “R&A Rules of Golf”. 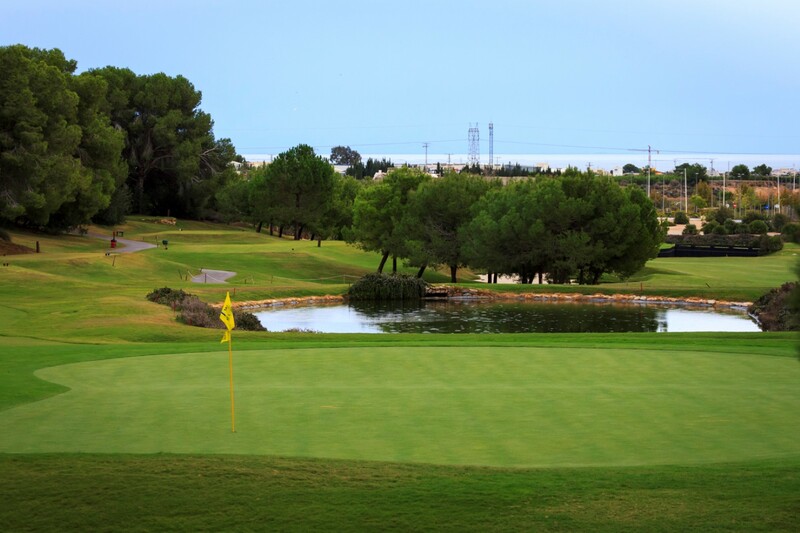 Lo Romero Golf reserves the right of admission for those golfers who do not comply with requirements. …Lo Romero has it own “Local Rules” that you can be made aware of, these can be read on the back of the scorecard. …Lo Romero, according to the Organic Law 15/1999 of December 13 on Personal Data Protection , informs you that your personal data will be included in a file with the company Desarrollos y Contratas Golf, S.L being responsible for it, with the purpose of maintaining, and to develop and control the current contractual relationship. You may exercise your right to access, ratifify, cancel and oppose by writing and attaching a copy of your Identity Card to Desarrollos y Contratas Golf, S.L via email to info@loromerogolf.com, indicating in the subject line the right you want to exercise. You can also contact the company via ordinary mail to Carretera CV 925, KM 29, Calle Sergio Garcia s/n 03190. Pilar de la Horadada (Alicante- Spain). Apartado de correos 129. At Lo Romero you will learn how to play. You can get your handicap within only one week if you apply the the instructions given by our professionals, who have a wide teaching experience in giving golf instruction in an amiable and fun way both for beginners and for those golfers looking for perfection in their swing. Courses for beginners. Daily and weekly golf lessons where clases are given in a amiable and fun filled environment with flexible schedules. Adjustments can be made to meet individual needs and classes can be on an Individual basis or collectivley in reduced groups. Courses for the more advanced player. 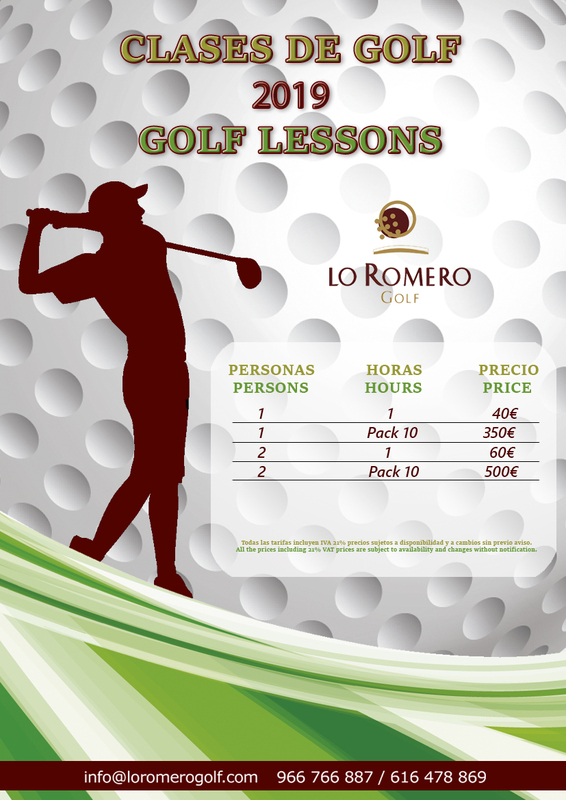 Lo Romero offers advanced courses with flexible schedules for those intending to solve specific faults, difficulties in their swings or simply obtain a new perspective of their swing, these lessons are specifically targeted at the golfer who wants to lower their handicap. 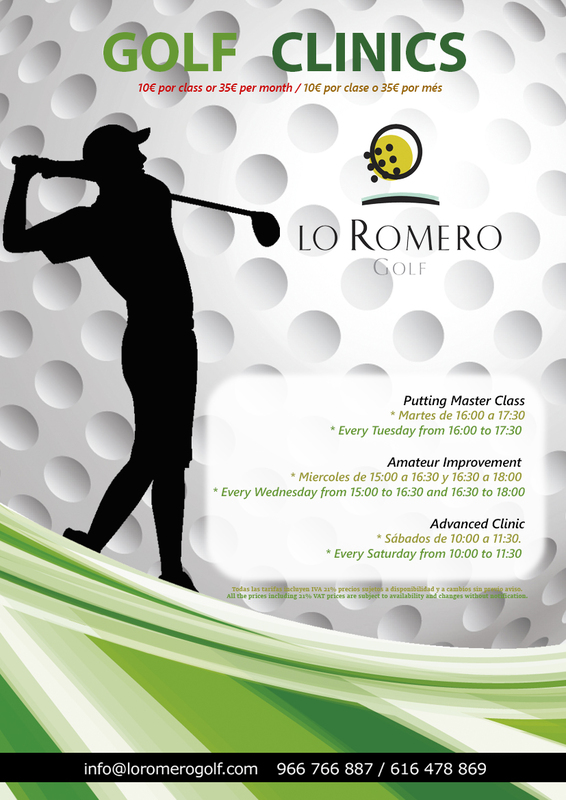 Lo Romero also offers individual Classes with swing anaylisis, clinics for companies as well as organised games on the course. Classes and courses are always subject to the needs of our students and either the classes or courses can be adapted to be done individually, colectively or as a family. If you want to know the rates of our clinics, click here. If you want to know the rates of our private Golf Lessons, click here. 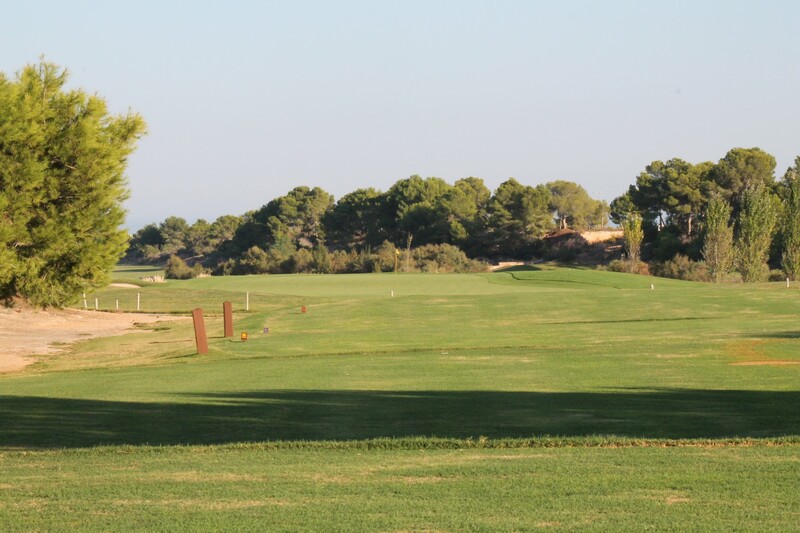 Lo Romero intoduces golf to all by presenting golf outside the perimeters of the golf course so that this sport can be experienced and practised by people from all walks of life that wish to try it. 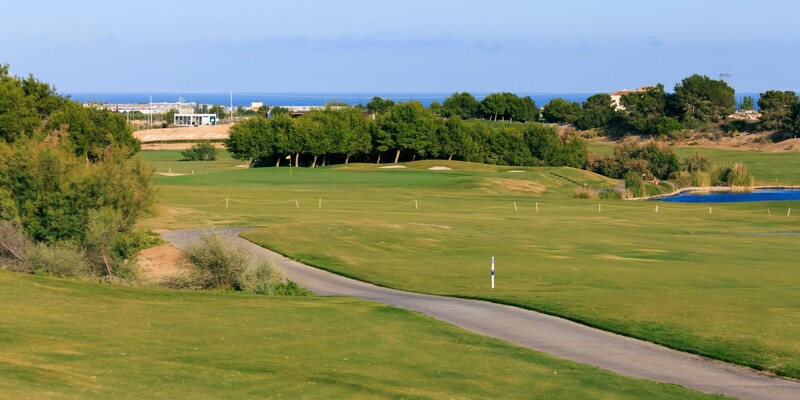 Since its opening Lo Romero has been aware and concerned that Golf needs to be made availabe to everyone, so to this end different activities are organised away from the golf course. One of the activities is taking golf to the beach. Last year, this activity attracted a wide number of the curious people at one of the beaches of Pilar de la Horadada. If you want to know more about this activity, don´t hesitate to contact us. It´s a free activity. Lo Romero is also involved with persons who have some form of disability, be it physical or psychological. From the early beginnings of the Lo Romero Golf School, it has brought together, under this form of teaching golf, many different groups of students from AIDEMAR (Asociación para la Integración del Discapacitado de la Comarca del Mar Menor)-Disabled People Integration Association of the Mar Menor region that have both physical and intellectual disabled students. The Lo Romero Golf School for apapted golf had its 10 years anniversary in 2016. “Play the ball the way it lies, play the course the way you find it and if you can´t do it, do it the right way by using the rules of golf correctly. But you need to learn the Golf Rules to know how to do it the right way! According to this statement, Lo Romero organises a meeting every year between golfers and referees to teach in an understandable and educational manner the golf rules. If you want to participate, do not hesitate contacting us. It´s a free activity. 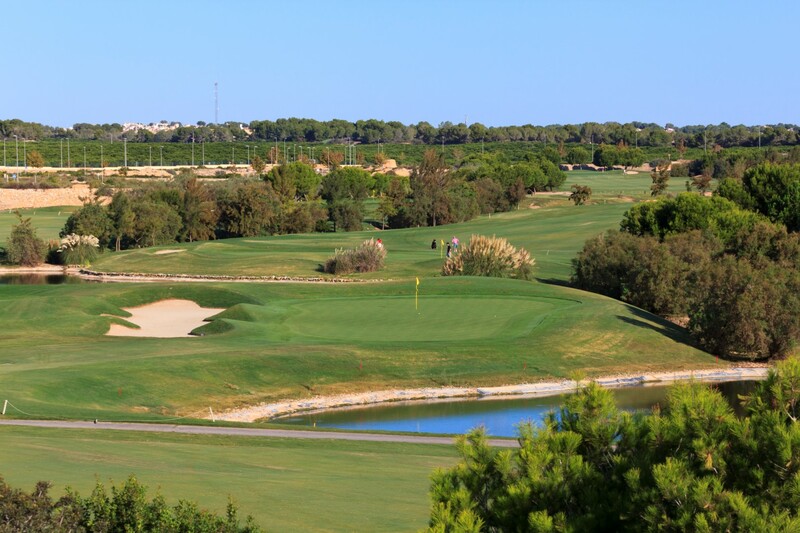 If you want to enjoy the experience of our golf island, book now.